A simple, yet brilliant invention. Basically, you put a ball of dough between two plates. 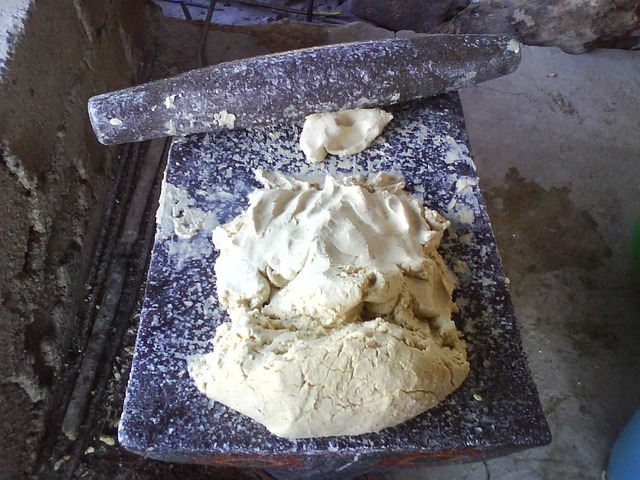 Then you push a lever to make the plates close, and they flatten the dough. It saves time and energy…sounds pretty great, right? We got our tortilla press about a year and a half ago, and it’s been well used in that time. It’s seen flour, corn, and grain-free tortillas. It doesn’t discriminate. It flattens all of them just the same. Quite nicely, I might add. This is the tortilla press we own. It’s still working well, and I recommend it. However, the metal pin that acts as the hinge for the press has been bent. Maybe because we pressed down too hard? Or maybe because it wasn’t the highest quality to begin with. We’ll never know. Like I said, it’s still working well. One thing I know for sure is that when the time comes for us to upgrade our press, we’d love to invest in a tortilla press like this one. If you’re looking to buy a tortilla press, check those out. The prices are very different. And like I said, we’ve been happy with the less expensive one so far. Also, if you’re looking for other time-saving tools, check out this post: Essential Time Saving Tools In The Kitchen. 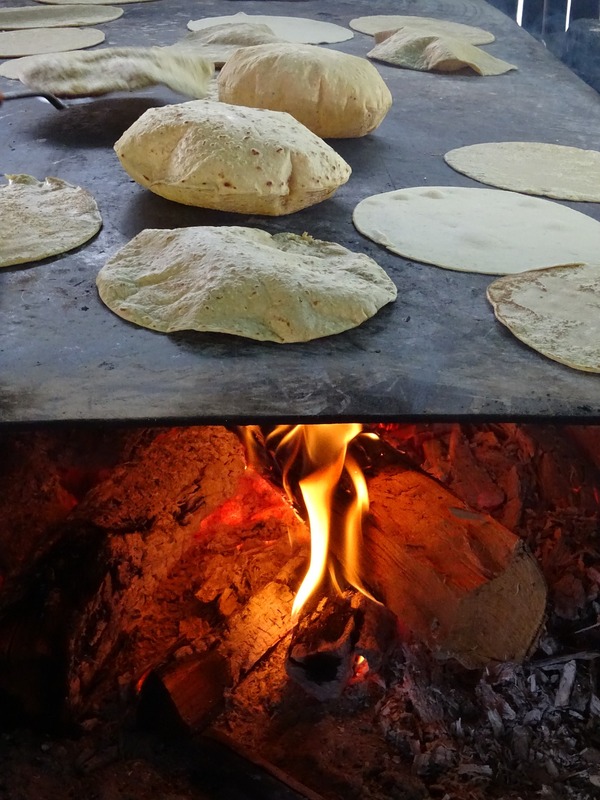 If you haven’t made tortillas before, here’s a brief description of the process. Steps three and four can be done in tandem. Flatten, cook, flatten, cook, etc. If you’re making tortillas, you’ll need to flatten the dough in some way. A rolling pin is an option, especially if you want an arm workout. I did the rolling pin method quite a few times before we invested in a tortilla press. If you’re a roller and you love it, more power to ya. Me? I like the tortilla press. Here are a couple reasons why. I like multi-tasking way too much to use with the rolling pin. Let me explain. When you roll the dough, expect to be rolling for about the same amount of time it takes a tortilla to cook. So you’re going back and forth from the stove to the dough, until all the tortillas are cooked. When you use the tortilla press, you place the dough ball in the press, close it, and push on the lever. In about one second it’s flat and ready to cook. 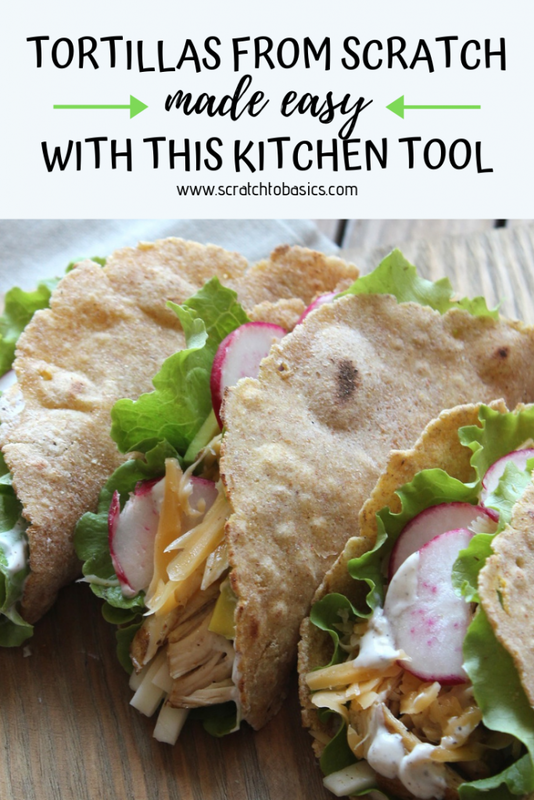 This leaves some time to work on preparing whatever else you’re eating with your tortillas. I’ve successfully made tortillas while holding a fussy toddler. Not that I’d recommend it. I don’t remember it being an enjoyable experience. But I did it! And I couldn’t have done that if I was rolling the dough out with a rolling pin. Maybe you are more talented than me with the rolling pin, but one handed rolling is HARD! Whether you have little kiddos around to hold or you like talking on the phone while cooking, or whatever else. You only need one hand to use the tortilla press! No matter which method you use, you should use parchment paper or plastic wrap to keep the tortilla dough from sticking (to the counter, the rolling pin, or the tortilla press). Flour and corn tortillas are both readily available in any grocery store, but cooking them from scratch will provide a more flavorful and more nutritious tortilla. No preservatives in these tortillas! Extra bonus…you can choose what oil you use. I recommend against using hydrogenated oils whenever possible. Well, are you hungry yet? Ready to whip up some tortillas? Here are a few basic recipes to get you started. 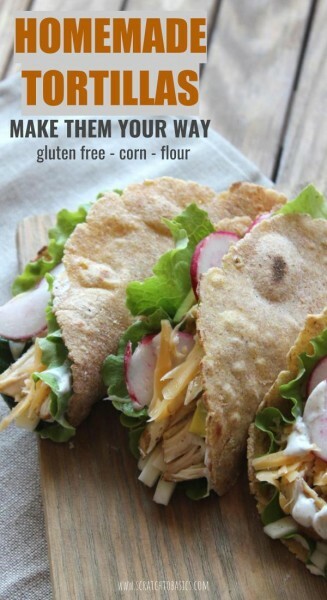 Honestly, my favorite ones right now are the grain-free tortillas. I’ve been experimenting with grain-free food options in an effort to work through food sensitivities. These tortillas are gluten-free and grain-free. And they taste amazing! If you’re looking to buy cassava root flour, we’ve had great luck with Anthony’s brand and usually buy it on Amazon. You can find it here. Combine ingredients, divide into golf-ball sized balls. Then flatten (roll or press) and cook in a hot pan, flipping to cook both sides. Note: These tend to stick when you flatten them. If they are sticking to your parchment paper too much, add a spoonful of cassava flour and try again. You can also flour the parchment if you’re having trouble. Note: This recipe is really flexible. If the dough is too try, add a little water. If it’s too wet, add more flour. This is the recipe found on the bag of masa harina corn flour from Bob’s Red Mill. You can buy this gluten free masa harina on Amazon. Tip: Sometimes I add a pinch of arrowroot powder to this mixture. It seems to help the tortillas stay a little softer. Mix the salt and the masa harina in a bowl. Pour in hot water. It should not be sticky or dry, but should be “firm and springy”. Cover and let sit for an hour. Then flatten (by rolling or tortilla press) and cook in a hot pan, flipping to cook both sides.